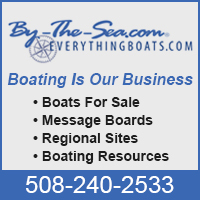 New England Boat Shows brings you latest information on upcoming events in Newengland. Find dates and locations of boat shows and several other events. 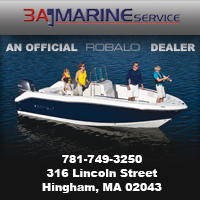 3 Marine 3A Marine Service , Inc. is a marine sales and service business, servicing and selling boats to 45 feet and all types of recreational marine power. Guilford Boat Guilford Boat Yards is an Independent Marine Dealer located on the West River in Guilford, Connecticut. Hyannis Marina We've Got It All! 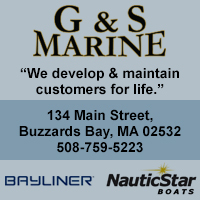 Hyannis Marina is your gateway to the beautiful waters of Cape Cod, Nantucket and Martha's Vineyard and more! With over 180 slips we accommodate everything from small motorboats to deep draft sailboats and megayachts up to 200 feet in length. Hyannis is beautiful, well protected and one of the few natural deep water harbors in the area. All of your boating needs can be met here with world class amenities and marine services. Come enjoy our large private pool and our two Harborside restaurants for fresh local seafood and libations. Traveling in a group or a Rendezvous cruise? - Let us arrange your Cape Cod Lobster bake right on property! All summer long there are activities for the entire family, just stroll the vibrant village sidewalks, and walk to nearby beaches, restaurants and town. On our bustling Hyannis Main Street you'll find lively nightlife, specialty shops, fun attractions and much more. Join us for an evening or two or spend the entire summer with us! Slip into the heart of Cape Cod- Hyannis Marina! 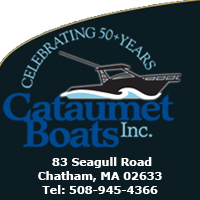 The Boat Center is Connecticut Shoreline’s premier boat dealer. 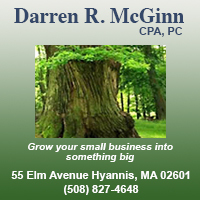 They are conveniently located on Route 1 in Madison just north of Hammonasset State Park. Robert White offers a wide selection of top-quality weather and marine instruments, friendly support from a knowledgeable staff, and excellent service. Boston Harbor Sailing Club is a professional sailing school and membership club offering sailing instruction and, through memberships, making Boston, Marblehead, Buzzards Bay and New England waters accessible and affordable to the public. The Club owns 67 yachts 23 to 39 feet and is a prominent feature on the Boston Waterfront. 7 Seas Whale Watch is a leading Cape Ann whale watching tour boat of Gloucester, Massachusetts just north of Boston, 7 Seas Whale Watch is the number one whale watch and charter boat company on the North Shore. Being next to two major whale feeding and fishing grounds, Gloucester has the fastest access the very best whale watching in New England. City Slicker Charters' boat is back in the water. They offer personalized private sport fishing charters for up to four persons from April to November fishing for Cod, Haddock, Striped Bass, Blue fish and Tuna -- committed to providing clients an exciting and memorable trip! Boston Sportfishing fishes the great waters from Jeffries Ledge to Provincetown. THe vessel, a BHM 32, is sea-kindly and safe in all kinds of weather. Stability is inherent in a design that includes a skeg to protect the underbody, propeller, steering gear, and drive train. It's simply a very comfortable ride. Even in nasty chop and heavy swell conditions, the BHM 32 can cruise comfortable all day long at up to 20 knots. We customize trips to fit you interests and desires. North Point Yacht Charters offers a fleet of power boats and sailboats owned and managed by individual owners from 12 to 50 feet offered at reasonable prices for cruising the coastal waters of Maine. Located at Rockland Harbor Boatyard. Redds Pond Boatworks - Redds Pond Boatworks offers a limited selection of interesting wooden boats for sale. We specialize in building and restoring wooden boats with fine building materials and craftsmanship. We are continuing a Marblehead tradition: building beautiful and practical wooden boats. Middle Path Boats - The Middle Path Boats was established to serve the needs of discriminating, non-competitive boaters. Our primary aim is to provide our customers with beautiful, seaworthy, high-performance craft, each tailored to the users' specific set of requirments. While all boat designs are the result of compromise, we feel that compromise need not feel like sacrifice. High performance need not be achieved at the expense of seaworthiness. And ugliness needn't be the price of scientific design. Wareham Steamship - Wareham Steamship Corporation sells amphibious vehicles and hovercraft which can serve as rescue, salvage, environmental cleanup land and sea equipment. These four wheel drive nautical landing craft are excellent for commercial and military purposes. The Newfound Woodworks, Inc. - The Newfound Woodworks manufactures cove and bead cedar strips for boat construction and prefabricates canoe and kayak kits which are assembled using cedar-strip/epoxy/fiberglass building methods. They provide materials and information to anyone who wants to build a cedar strip/epoxy boat using only some basic hand tools. In addition to our kits, they can provide custom sized cove and bead strips and 1/8" veneer for cold molding larger boats. S.N. Smith & Son - The S.N. Smith & Son shop maintains, restores, and custom builds a variety of wooden boats up to 35 feet. We specialize in provide turn-key routine maintenance, paint-varnish, partial to complete restorations, custom work, design and construction in wood, composite, strip & cold mold building. 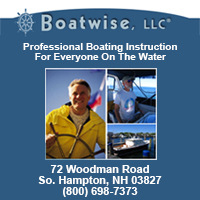 Steve Smith works at making owning and maintaining a boat predictable and affordable. Vintage Marine - Vintage Marine offers a full line of services for the classic boat enthusiast from ground up construction to award winning restorations in both traditional and modern construction techniques. 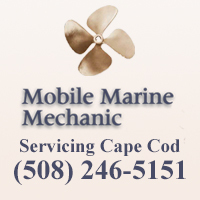 Vintage Marine can handle most of your engine needs, but if its a rebuild you want, they use one of the best antique engine rebuilders in the country. They also can repower any classic runabout with a modern engine if that is what you desire. Wilco Marine - With over 25 years of experience, Wilco Marine offers professional boat building & restoration of all types of boats - power and sail up to 50' feet. Authorized warranty repair facility for Pursuit, Tiara, Mako, Seacraft, Wellcraft and many other top manufacturers.